Washington’s Lottery includes a series of lottery games designed to offer the general public a way to win some cash, but also benefits several state programs. Game tickets start at $1 and range up to $20 so you can play at a level you're comfortable with (or at least that's the idea - gambling hotline numbers are posted at game play locations). Likewise, prizes range from just $1 up to millions. Where does the money raised by Washington Lottery tickets go? Not all the money brought in by lottery tickets goes back to winners. Money from ticket purchases helps fund a number of important state programs and needs, pays retailer commissions, and—of course—goes toward lottery prizes. The largest non-winner beneficiary is the Washington Opportunity Pathways Account (WOPA), which benefits Washington State students via the State Need Grant, State Work Study program and early childhood learning programs. Each year, the distribution changes slightly. In 2017, 62.5% of lottery revenue went toward prizes for a grand total of $422.5 million! The other approximately half of revenue includes WOPA at 18.8%, retailer commissions at 5%, sale costs at 6.4%, the state general fund at 2.5%, administration at 2.1%, the Stadium & Exhibition Center at 1.8%, economic development at 0.7%, and funds dedicated to helping those addicted to gambling at 0.1%, all according to Washington Lottery’s website. What games does the Washington Lottery have? 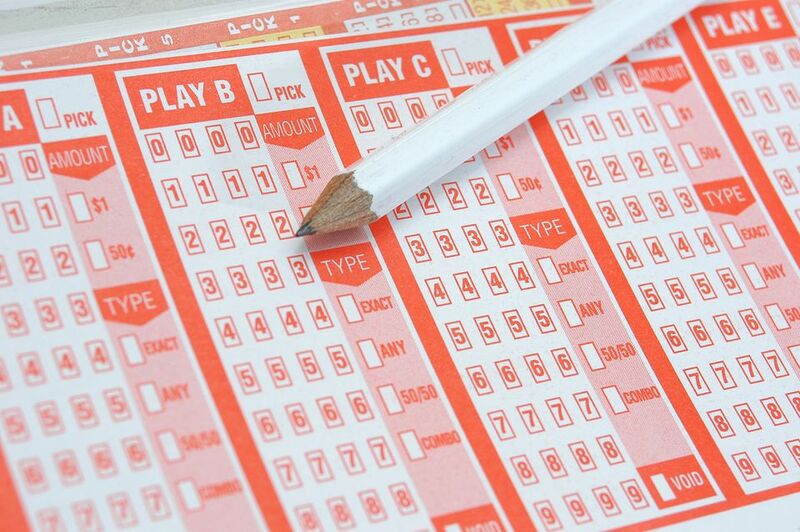 Lottery games (all the games named in the bulleted list above) involve you picking your own numbers with a pencil and play slip, or choosing Quick Pick, if you want the computer to randomly choose the numbers for you. Scratch ticket games do not involve picking any numbers. You simply buy the ticket and scratch the game area to reveal the numbers. Each ticket has different rules and ways to win. There are several tickets available at any one time and they are printed in finite quantities. Once a series of tickets is sold out, it’s usually replaced by another game, but you’ll see popular games reprinted, too. How old do you have to be to play the Washington Lottery? You must be at least 18 years old to buy a lottery ticket for all lottery games. Lottery tickets are available at many food stores, mini marts, gas stations and convenience stores, some restaurants and bars, and even in some malls. You can often buy tickets either from a sales clerk or from one of the large yellow lottery machines. You can locate a lottery retailer close to you using the Washington Lottery’s Where to Play tool. Go to the Washington Lottery website to check the winning numbers. Call 800-545-7510 to hear a recording of the winning numbers. Visit a lottery retailer. Many have machines where you can scan your ticket and find out if won, but you can also ask a cashier at the lottery counter to check it for you. If the prize is $600 or less, you can take your winning ticket to any place that sells lottery tickets. If you won more than $100, you might want to head to a larger store to make sure they have the money on hand to pay out. If your prize is $601 or more, you’ll need to go to a lottery office. There are two in the Seattle-Tacoma area: one at 11419 19th Ave SE, Suite A106, Everett, WA 98208-5120 and another at 33701 9th Ave. S, Federal Way, WA 98003. If your prize is over $1 million, call to make an appointment first. Do I have to pay taxes on lottery winnings? Sadly, yes. Lottery winnings are considered earned income. If you win more than $600, your prize will be reported to the IRS and you’ll get a W-2G (similar to a W-2 for employment income, but the income is from a different source). If you win more than $5000, the Washington Lottery will withhold taxes from your prize—this will help ensure you won’t incur any tax penalties. How long do I have to redeem my winnings? You have 180 days to claim a lottery prize. What do I do if I buy lottery tickets too much?